Indicated for the treatment of post menopausal women with hormone receptor positive breast cancer. . The safety and efficacy of neoadjuvant use of Letrozole has not been established. Letrozole is not indicated in hormone receptor negative disease. 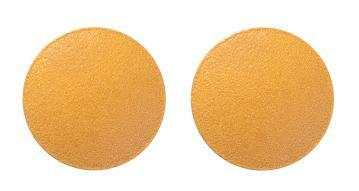 Yellow, round, biconvex, film-coated tablet plain on both sides.